The idea for this book came to me some 7 or 8 years ago, and it has been 5 years--hit and miss--in the writing. Much of this time was spent in research. I wanted every aspect to be completely authentic--from language, to people and customs, to settings, to clothes, to technology, to historicity, etc. Even the days and times of the heavenly phenomena (solar and lunar eclipses and the Venus transit of the sun) are spot-on. And I wrote it because in one way or another and at some future time, I believe that what I have portrayed as happening, will, in fact, happen. Prophetic? I guess we'll see. Reader responses include: "This is not like any other book I have ever read!" "Believable!" "The ending is a shocker!" "Sealed Up trumps The Da Vinci Code in its disruptive ramifications." "I literally couldn't put this book down." One of my key characters, quadriplegic, Hyrum Bentley, is patterned after my dear late friend, Jack Rushton. His wife, JoAnne, not only gave her permission for me to duplicate Jack's mannerisms and personality, but coached me along the way. That's why the book is dedicated to these two extraordinary people. I think you will love, Hyrum Bentley! Needless to say, the conclusion begs a sequel . . . and there will be one. 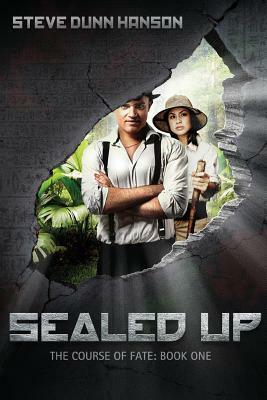 Sign into Goodreads to see if any of your friends have read Sealed Up. You can tell that the author did his homework in researching the background and details. I stayed up late to finish reading it. Looking forward to the next book and wonder where he will lead us.